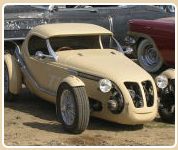 Information about the 2cv kitcar "The Flyer"
Welcome on the official kitcar page of the "The Flyer"! 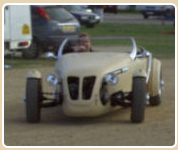 The Flyer is a unique example of what is possible based on a 2CV chassis and base. 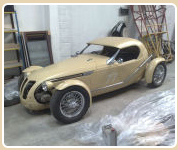 The design is a complete working original (the only one in the world) and we have the great pleasure of announcing that we are soon going to be launching the kit car version. 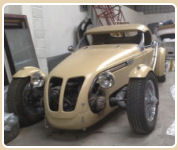 We have a long history of producing 2CV based kit cars, like the Lomax and Burton. 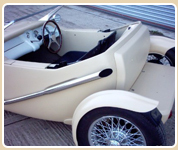 We and can offer either the moulded kit or a comprehensive construction processes delivering you a fully working (and guaranteed) car, at very competitive rates. 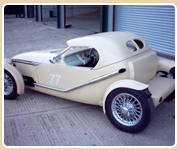 We would like to gauge the interest that there is in "The Flyer" and as such have built this informative website. If you have any questions or would like to be kept informed as to the progress, please enter your details below and we will keep you informed when we have new information.